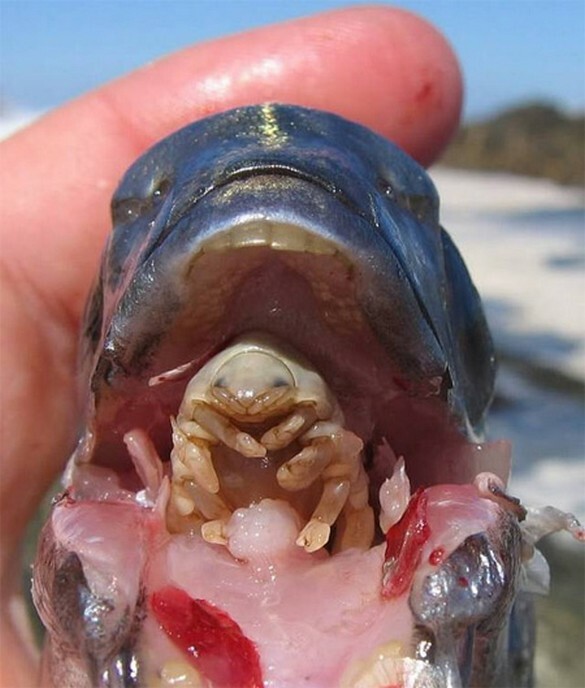 Also called the "tongue-eating louse," this parasitic crustacean of the family Cymothoidae enters fish through the gills, then attaches itself at the base of the fish's tongue. Once there, it extracts blood through its front claws, causing the tongue to atrophy from lack of blood, then it replaces the fish's tongue by attaching its own body to the muscles at the tongue's stub. They are supposedly not harmful to humans unless picked up alive, in which case they can bite. Commonly known as the "eye worm," this parasite enters the human body through the bite of a deer fly and explores the subcutaneous realm of its host, crawling undetected beneath the skin for years, until one day the host feels something strange in his eye. In a scene worthy of a horror flick, he looks in the mirror and discovers a tiny worm wiggling just beneath the surface of his eyeball. They are usually found in Africa and India, and symptoms can range from itching and joint pain to fatigue and even death. Known commonly as the "Guinea worm," this is one of the oldest documented human parasites, with tales of its behavior reaching as far back as the 2nd century BC in accounts penned by Greek chroniclers. It affects humans, dogs, cats, horses, cattle, and other animals, especially in Africa and Asia. The parasite enters a host after the ingestion of water contaminated with copepods (water fleas) infested with guinea worm larvae. About a year later, the worm creates a blister in the human host's skin, usually on the leg or foot. Within 72 hours, the blister ruptures, exposing one end of the emerging worm. This blister causes a very painful burning sensation as the worm emerges. Infected people often immerse the affected limb in water to relieve the burning sensation, thus allowing the adult female to release hundreds of thousands of guinea worm larvae, contaminating the water supply once again. Transmitted from host to host by blood-feeding arthropods --mainly black flies and mosquitoes--, filarial worms are round, threadlike parasites whose more spectacular symptom is "elephantiasis," an edema with thickening of the skin and underlying tissues. The subcutaneous worms also present themselves through skin rashes, urticarial papules, and arthritis, as well as hyper- and hypopigmentation macules. They can also manifest in the eyes, causing "river blindness" (onchocerciasis), one of the leading causes of blindness in the world. Affecting humans, cattle, sheep, and dogs, the first clear reference to the disease occurs in ancient Greek literature, although it might have been referenced as early as 2000 BC in Ancient Egypt. A campaign to eliminate it by 2020 has already prevented over 6.6 million new filariasis cases and stopped the progression of the disease in another 9.5 million people. Infected ants are popularly known as "zombie ants." 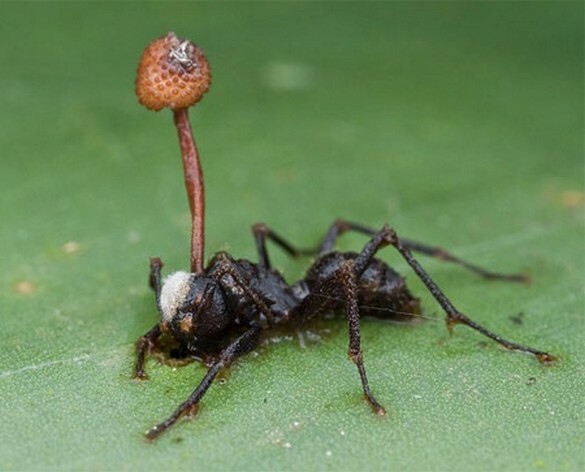 Like something out of a horror film, this parasitoidal fungus infects ants and alters their behavior; the ant falls from the tree where it normally lives, climbs on the stem of a plant, clamps its mandibles on a leaf and dies there. Meanwhile, the fungus consumes the ant's tissue and grows outside it, releasing its spores. Parasitic wasp embryos are known to be the main inspiration behind the infamous "birth" scene in the 1979 horror movie Alien. Injected into a caterpillar by their mother, the once egg-encased wasp embryos develop for about 14 days. Then, in a biological attack unique in the animal world, the unassuming embryos use a virus in their DNA to paralyze their host. They bite their way out of the caterpillar and begin spinning cocoons. 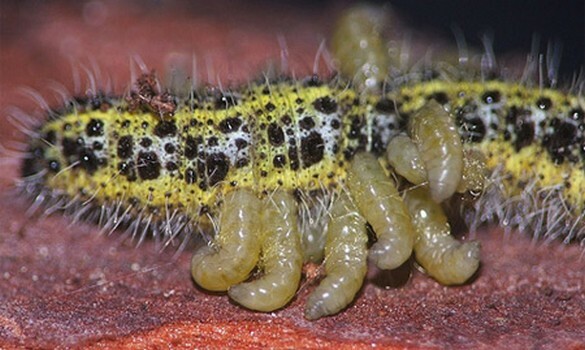 As a final insult to the injured host, the caterpillar, apparently brain-addled by the virus, builds a silky blanket over its attackers and defends them against predators until the wasps emerge, fully formed, and take to the sky. This parasite partially castrates its hosts enough to control their sexual reproduction, or they end up killing it. 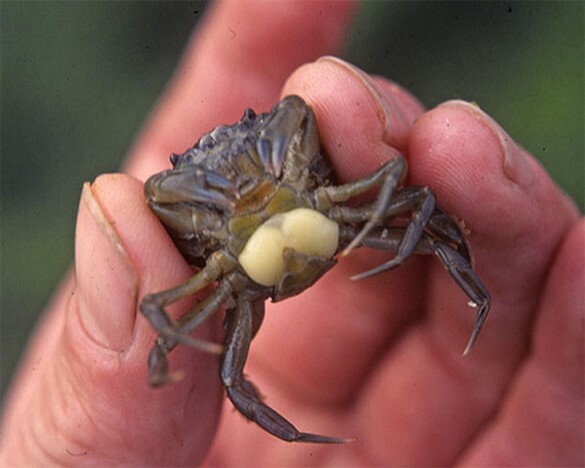 If the host crab is a female, it gets tricked by the parasite into carrying, nurturing, and spreading larval Sacculina as if they were its own little crablings. Also, if the host crab is male, Sacculina transforms its body to function just like a female. 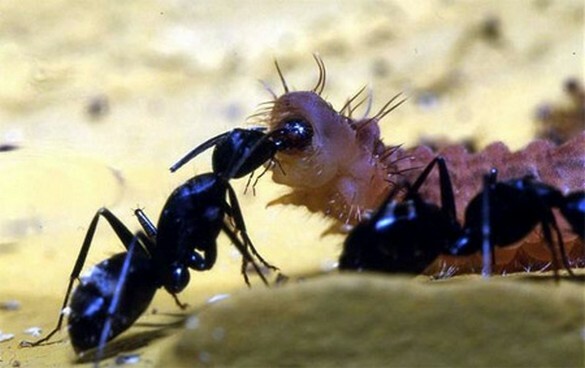 As a caterpillar, this parasitic butterfly steals nutritional resources from a species of ant known as Camponotus japonicas. They first enter the ant's nest and elicit parental care from the workerants by secreting chemicals that mimic that of the Campontus japonicas. The caterpillars continue to be fed by the ants in the nest until pupation. 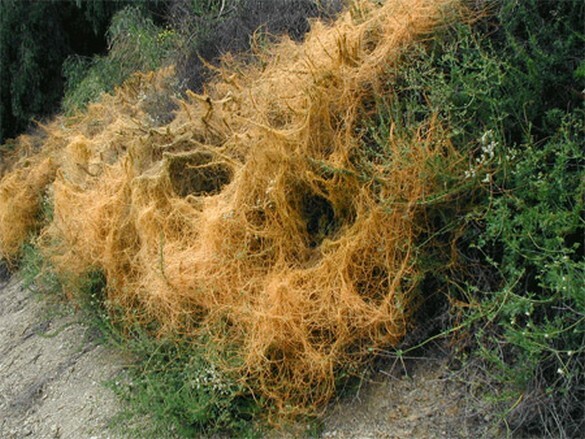 While most plants seem passive, the Dodder (Cuscuta) is a parasite; it lives off of other plants. Instead of waiting around for a suitable host, the vine hunts one down. It even "sniffs" out its hosts, growing toward telltale chemicals released by its neighbors. It can grow and spread at a phenomenal rate, claiming new territory by means of its tough seeds and spreading like wildfire through crops at considerable economic cost.